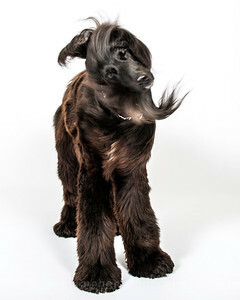 Meet foster doggie, "Aristocracy's Spiritual Journey of Chichic". Or as I like to call him, Mr Jojos! 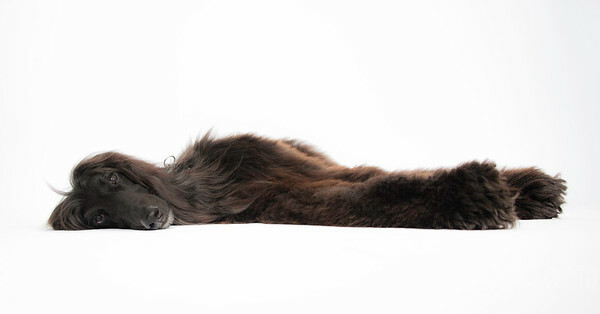 Photographing dogs with black coats can be tricky relative to pulling out the detail, but Mr. Jojos sat patiently during his studio shoot for these great photos to show the world how cute having him as your best friend will be! Mr. Jojo's is looking for a new home and is currently being fostered right here in SF. 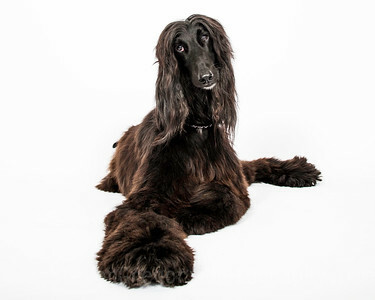 A former GRAND CHAMPION Afghan Hound, Mr Jojos is now unwinding from his hectic show dog days and is really showing his bouncy, fun and playful side while on walks, all the while keeping his composure as a quiet, restful doggie when inside. Mr. Jojos is a 60 pounder and he makes big poops, but if you can deal with that, everything else is gravy (do NOT feed him gravy…). Mr Jojo's is super sweet- he loves being in the same room as you, loves to flop over for belly rubs and sits patiently for his walks. He is completely house broken, though he slobbers when drinking (what's up with that? ).